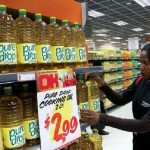 October’s economic turmoil in Zimbabwe has again highlighted the precarious state of the country’s economy. 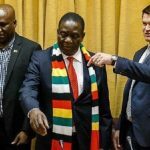 A casual social media post or imprudent policy statement by a government official is enough to cause panic among Zimbabwean consumers who know from bitter experience that if others are panic-buying, they should do the same. The result is shortages of basic commodities like sugar, cooking oil and bread and, of course, fuel and medication. At the heart of the problem is government overspending. The profligacy of the Mugabe administration has not changed under President Emmerson Mnangagwa’s government. The total budget deficit for the year is expected to surpass US$2.3 billion – quite impressive for a country with a tiny national budget of US$3.8bn. The deficit is funded by the issuance of government bonds – primarily treasury bills. The problem with these ‘IOUs’ from government to the banks comes when the bills mature, i.e. become payable, after one or two years. The government simply doesn’t have the money to pay the debts. But a default would render the $8.3bn worth of treasury bills out there almost valueless, destabilise the entire financial system and foreclose the bills as a way of raising money by government. 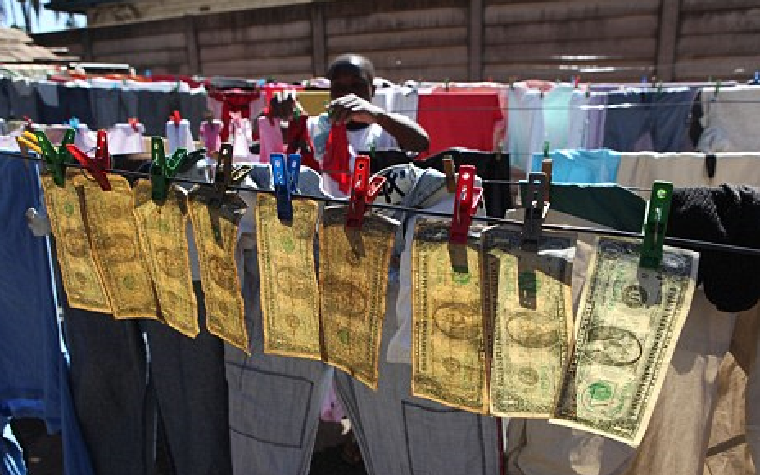 Previously, government dealt with the problem by printing money – a temporary escape route that closed when the currency became worthless as a result and the country was forced to dollarise. The ‘solution’ now is through the simple expedient of directing the Reserve Bank to make book entries into the credit columns of banks holding maturing treasury bills. The credit is not backed by anything other than a second IOU from government to the Reserve Bank. In this way ‘money’ is created from thin air. But it never loses its ethereal form. When depositors go to banks and put their cards into ATMs, nothing comes out. The banks advise that the depositors must make do with electronic transfers for all transactions. The transfers are done through the Real Time Gross Settlement (RTGS) clearance process. Officially the ‘RTGS money’ is US dollars, on a par at 1:1 with hard cash. The laws of economics say otherwise. With government creating billions of dollars of RTGS money unsupported by anything, its value has declined. Before the October crash, it was trading at 2:1 for hard cash. Government’s refusal to recognise this creates a host of distortions in the economy, most obviously in the supply of fuel. With the petrol price fixed at US$1.41 at the pump and payable electronically, those with hard cash change it on the black market for RTGS deposits and obtain fuel at knockdown prices.